Sustainability events are happening year-round at UofL! Don't miss out! Stressed about finals? De-stress at the Garden! Come by the Garden Commons for our final spring workday and help us plant our starts that we have been growing in the greenhouse into the garden beds! Tools and gloves will be provided. At our group workdays you can learn (by doing) how to grow hyper-local, super-delicious vegetables, herbs, and fruits! No prior experience necessary. The Garden Commons is open to participation any time from students, staff, faculty, and community members. Everyone who comes is welcome to share in the harvest! Connect with us and get all the details on our Facebook Page. Come help us turn “trash” into treasure as we manage UofL’s volunteer-powered community composting operation. Dress to get dirty. Tools provided. Learn about worm composting and becoming a UofL EcoRep! All participants will be welcome to haul back home some rich UofL compost for their own gardening projects in whatever containers/vehicles they bring. This is a weekly service opportunity throughout the year. Contact: Brian Barnes, 502-338-1338. April 22, 2019 Late Night Shred Fest! Campus Housing and ELSB Green Initiatives will be honoring Earth Day with a fun incentive to recycle after all your spring classes are over! Satisfy your late-night cravings and power up for finals with a free breakfast bar and chill with a peaceful DJ. Bring old papers from the semester to shred and recycle them properly and you'll be entered into a raffle for fabulous prizes! You can earn a second raffle ticket just by coming in your pajamas. Learn how to move-out sustainably. CEO Action for Diversity & Inclusion's “Check Your Blind Spots Unconscious Bias” bus will be stationed outside of SAC as part of a national tour on April 23rd. Stop in to have your mind blown about what your unconscious mind it doing to shape the way you see everything. This is FREE and open to all. Presented by the College of Business in partnership with Greater Louisville Inc.
Moving out? Don't throw it out! 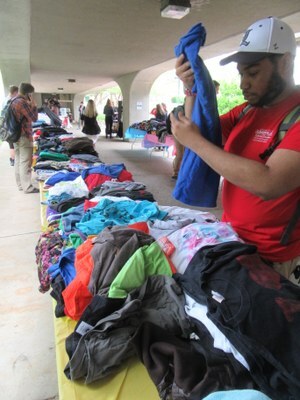 During the spring move out (March 29th through May 1st), special collection bins are available in the lobbies of all UofL residence halls for the donation of any unwanted items: clothing, shoes, accessories, linens, appliances, lamps, electronics, decor, rugs, bags, school supplies, non-perishable food items, and anything else you'd rather not keep. Two sets of bins will be available in each lobby - one for Goodwill items and another for donations of non-perishable food items that we will donate to the hungry through the Cardinal Cupboard. Help us achieve our goal of Zero Waste for Move-Out 2019! Goodwill Industries of Kentucky is proud to partner with UofL Campus Housing and the UofL Sustainability Council for this initiative! Health Sciences Center, 400 E. Gray St.
With 11 unique local vendors, you'll find the finest in farm-fresh local products, including fruits, vegetables, pasture-raised meat & eggs, popcorn, honey & syrup, jams, granola, bread & baked goods, flowers, plants, prepared lunches, food trucks, and more. Cash, debit cards, SNAP benefits, and Senior Vouchers accepted! Open weekly rain or shine. Watch Vendor Spotlights and our 20/20 Talks on food and sustainability at the GSFM YouTube Channel! Access our collection of delicious recipes for local products. Join our listserv and receive our weekly newsletter by sending an email to listserv@listserv.louisville.edu with the message “SUBSCRIBE GSFM (First_Name Last_Name)”. 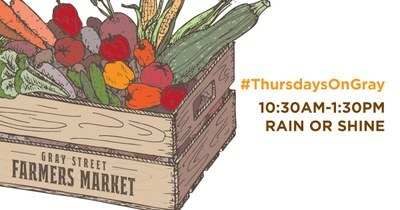 More info: GSFM website, contact Market Manager, Sara Frazier at farmersmarket@louisville.edu or 502-852-6655, or follow on . Join us for a celebration showcasing the projects funded by UofL's Cooperative Consortium for Social Justice Research in the 2018-2019 funding cycle, featuring presentations by faculty, students, and community members on our funded projects. For videos of last year's event, check out this Youtube playlist. Note: This event is a Lean Into Louisville event. Join us for our monthly EcoReps Lunch & Learn workshop featuring a free vegetarian lunch and locals making a difference in sustainability! The Sustainability Council’s EcoRep s program is designed to move students, faculty & staff beyond talk to action for a more sustainable UofL! We provide basic training & resources, service opportunities, and leadership positions as a point-person & peer-to-peer advocate for sustainability. This fall, we continue our series of in-person workshops each month on last Fridays at noon in Ekstrom Library room W210. Join us for lunch and bring your reusable plate, utensils, and cup to minimize waste! All are welcome. More info on EcoReps website. What did I miss?! Check out our Past Events log. Meeting times for the Sustainability Council and its Committees are available here. 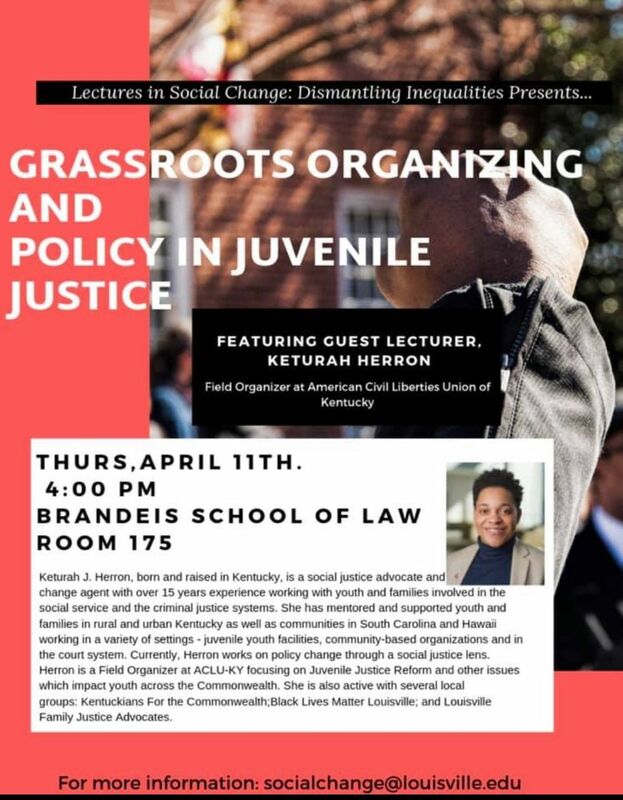 "Lectures in Social Change: Dismantling Inequalities" presents guest lecturer Keturah Herron, Field Organizer for the ACLU of Kentucky. Herron is a social justice advocate and change agent with over 15 years' experience working with youth and families involved in the social service and criminal justice systems. Currently, Herron works on policy change through a social justice lens, focusing on juvenile justice reform and other issues. This talk is free and open to the public.